It’s a mix of oils or one type of oil that is applied to hair, prior to a shampoo wash, to help protect hair from the harsh shampooing process. 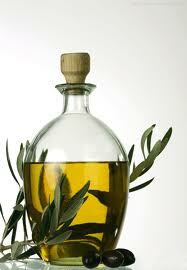 It consist of oils such as olive oil, coconut oil, jojoba oil etc. It is important to clean your scalp and hair but many shampoos can strip hair of its moisture /oils, leaving hair very dry. Pre pooing makes hair manageable, easier to detangle and helps to reduce breakage. Hair feels soft after you shampoo. Mix oils such as olive oil and coconut oil or any other oils you have in hand. Gently finger detangle your hair section by section and add oils to hair. Cover hair with a plastic cap and leave the treatment in for 15-20 minutes. Then shampoo and follow with your regular wash day regimen. You can leave the mixture in your hair overnight (overnight Pre Poo). Do you pre poo? Please share your pre poo regimen below.